i meant leema's comment btw. it has tv outlet thats nice, how much does it cost and for the comment before me, some english education is needed before post comment lol. I want to know - Do you have any problems with 7310? I want to get, but I don't know 7310 or 3120 classic? i Buy this handphone.. But Why Usb Cabel and memory card Not Have?why the camera is toooo slow? But Why Usb Cabel Not Have? What kind of USB data cable is compatible with this phone??? Just bought one today, cost me about USD170. Only comes with Manual, warranty card, charger and a stereo headset. No CD included, but can be downloaded from Nokia HK. It's quite thin already and I don't think the thinner version of 7210 will feel comfortable in the palm. Color of the screen is good but resolution a bit less than 6120C. Sound volume doesn't suprise me, loudness was par with other phone. Well it's normal for such a thin phone. When idle, the screen turn off and looks like a mirror reflection. It's quite unique for a Nokia products. But the fininshing is prompt to finger print, especially the silver plated keypad:- but the keypad egonormic was good. What is the point of this when the 7210 is slimmer, lighter and looks far better? I really like this unit...it's cute and simple...the problem is don't have this unit...how I wish to own one...in my dreams! 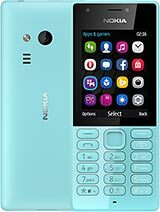 (maybe some of this days I could own one...)NOKIA the best!!! the software is realy S40 6th Edition. How can we reduce theft of phones?Is there away by which if your phone is stolen then the person who stole it cant be able to use it? The 2 megapixel camera has turned me off this phone, shame cause like the look of it!! !